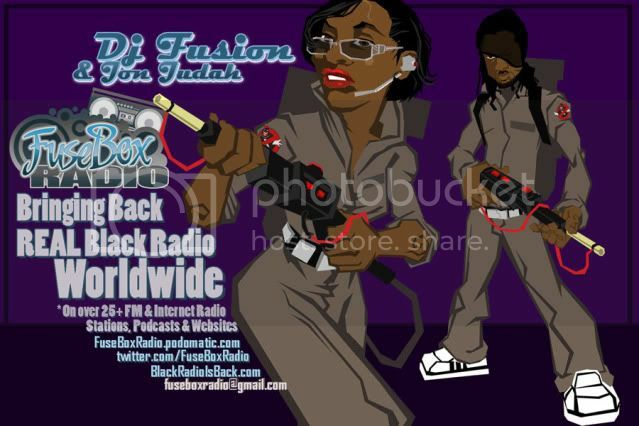 FuseBox Radio Broadcast for the Week of January 26, 2011 | BlackRadioIsBack.com - Official Blog of the Syndicated FuseBox Radio Broadcast! This is the latest episode of the syndicated FuseBox Radio Broadcast with DJ Fusion & Jon Judah for the week of January 26, 2011 with some new and classic Hip-Hop & Soul Music, news and commentary. 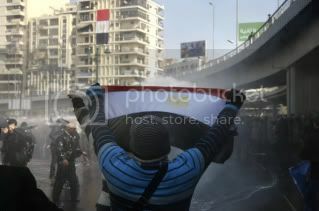 Our commentary this week focused on recent internet- & street-based political protests/revolutions occurring in Egypt & Tunisa along with it's possible repercussions in the States and beyond along with some other diverse topics here and there. We have brand new Black Agenda Report and Free Press "Media Minutes" mini-segments on this week's syndicated FuseBox Radio Broadcast episode. "This week on the Forum, what drives us to be creative. Neurobiologist Semir Zeki on how dissatisfaction fuels creativity. Serbian American poet Charles Simic on why translation is impossible and therefore a highly creative act. And sound consultant Julian Treasure on the influence of our sound environment on productivity." UrbanNetwork.com's The Mix Internet Radio Station - UN Power Jam Radio (owned by Urban Network Magazine) OKRP.com, ReeWineMusic.com/ReeWine Radio,Progressive Blend Radio, Sprint Radio Extra/mSpot (via the Worldwide Alpha Communications Network), SouthBound.FM, DeadBeat Radio, CrackAudio.com,TheBestJams.com/The Best Jams Radio, Radio CPR 97.5 FM, FlyTunes.FM/FlyCast,Planet Urban (Austrailia)/PlanetUrban.com.au, AmalgamDigital.com,BlockJams.com, ConspiracyUK.com , FONYE Radio , VI Radio ,DurdeeSouthRadio.com , Beyond.FM , MyBlockRadio.net, Rutgers University Radio, WRSU 88.7 FM, Stop Beefin' Start Eatin' Radio, Ceesiety Radio, Mixshow Blast Radio,Slip-N-Slide DJs Podcast, The Best Jams, ExtravaGangsta Radio,HipHopSoulRadio.com , Digiwaxx Presents: The Blast , White Folks Get Crunk for DJs, Legion Music & Media, UnderWorldMixRadio.com, MixLaWax Radio, Trunk Hustlers Online, 907 Jamz. The6.FM, Nilo Radio, 1.FM Jamz, Blayze University Radio, Blip.TV, iBlog126.com, Miro, WSOUF.com, True Fire Radio, StreetsD.com (Streets Mos Magazine Radio), Rock The Dub, Last Word Online, Soul Pitch Hustle,Black Soul Rhythms, Honey Magazine, i95.FM, The PRess Junkie, Planet Ill, Ground Up Radio, W.O.W. Radio, DIRadioCast, Fleet DJ Radio, SWURV Radio, Revolt Radio,GC Radio, BlackCoffeeChannel.com (Coming Soon), Gutta Muzik (HD) Radio (Coming Soon) and MORE Listed Soon!